How To Install Opencart Via Softaculous? This tutorial will assist you to install OpenCart in your website through Softaculous. Softaculous is an excellent auto installer integrated with cPanel allowing you to install more than 300 scripts within few minutes. It takes just a few clicks and you can have a fully functional OpenCart setup. To access the Softaculous, you must login to cPanel first. Following are the complete steps to install OpenCart in your website. Step 1: Sign up on hostchive Free. 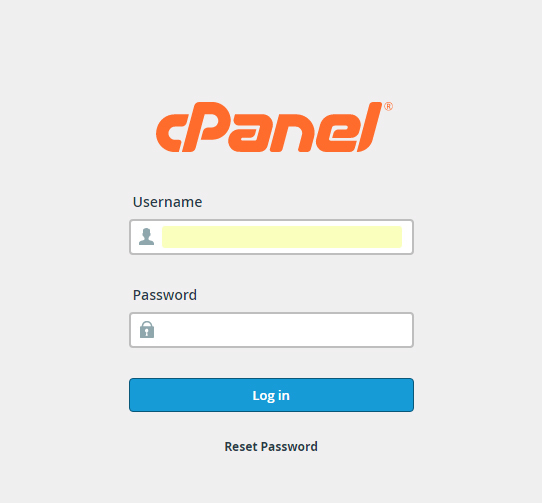 Select the cPanel Login button for the respective website your trying to access. Step 4: At Softaculous page, you will see list of script categories. Expand the E-Commerce category and click on OpenCart. This will open OpenCart application page. Step 5: At OpenCart page, click on Install button to start the OpenCart installation wizard. At next screen, you will be asked following information. 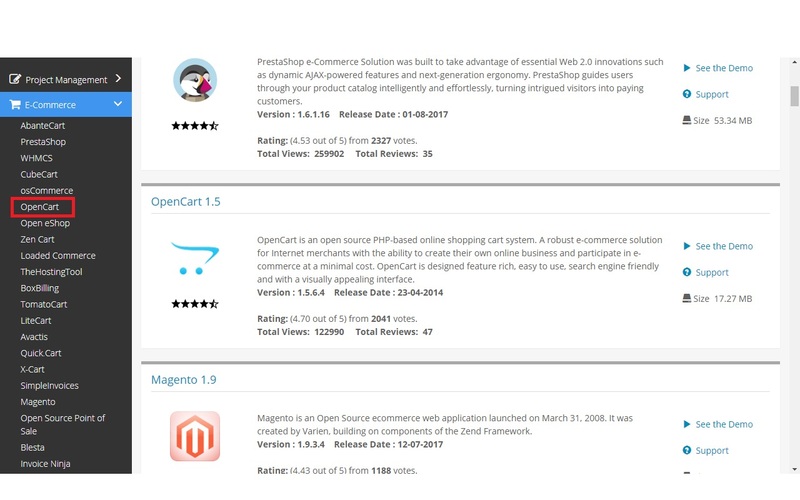 Choose the version you want to Install: Select the OpenCart version you want to install in your website. Choose Protocol: Select the protocol HTTP or HTTPS from the drop down menu. If you will use SSL certificate on your store, select HTTPS protocol option. Choose Domain: Select the domain name from the drop down menu. In Directory: Keep this option blank if you want to install OpenCart in the root directory (public_html) of the domain otherwise you can enter name of the subdirectory. Store Name: Enter name you wish to give to your OpenCart store. Store Description: Enter description of your OpenCart store. Store Owner: Enter name of the store owner. Store Address: Enter physical address of the web store. Admin Username: Enter username to access OpenCart Dashboard. Admin Password: Enter password to access OpenCart Dashboard. Admin Email: Enter the valid email address. First Name: You can enter store owner’s firstname here. Last Name: You can enter store owner’s lastname here. Step 8: By expanding the Advanced Options, you will be given some advanced settings to configure your OpenCart store. If you do not want to specify these details, you can proceed with the default settings. 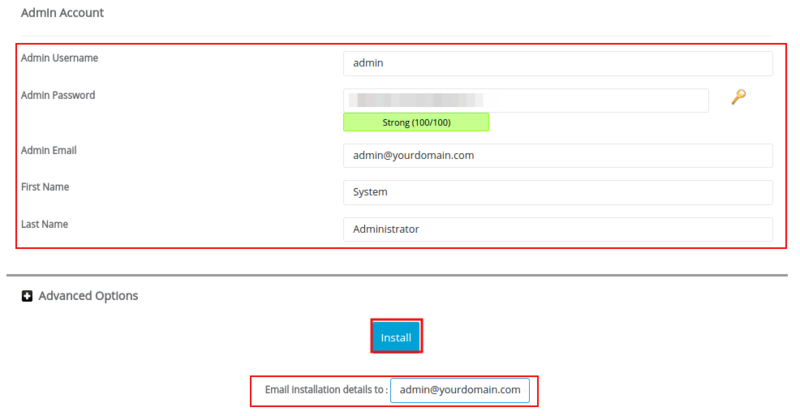 Step 9: Enter valid email address in Email installation details to field so you can receive an installation details in your mailbox. Click Install button to initiate the OpenCart installation. Step 10: Be patient while Softaculous installs the OpenCart script. On successful installation, you will receive the success message and direct links to OpenCart website page and dashboard details. Using this login information, you can proceed with OpenCart store configuration. 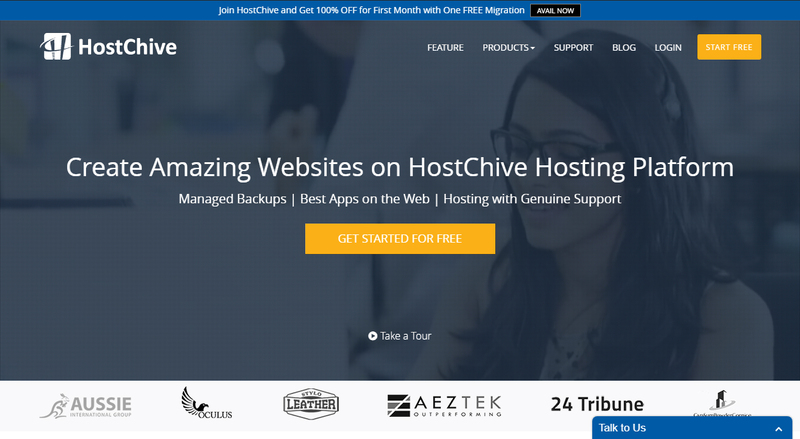 Fahad Abdullah is a Digital Content Producer at HostChive, a Managed Web Hosting Platform. He loves talking about brands and writes content related to CMS. He is fond of creativity and plays football in his free time.